name 5 things. : Guest Posting. This was supposed to post this morning, but for some reason the scheduling function didn't work. Thanks, blogger. Any who . . . I'll be guest posting I guest posted over at Sadie + Stella on Wednesday as part of their "Favorite Room" series. Go check out which room I picked! And while you're over there, take a look around their site -- it's great. 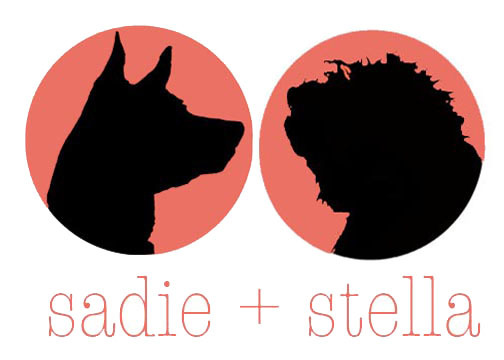 Any blog named after dogs (complete with dog silhouettes) is an immediate winner in my book! That IS a great room... you are so lucky to have such a big bright office space.